Corruption In The Police Force? We hear of assaults and abductions happening in the media regularly, but rarely concerning the actions of a police officer. Ian Ivancic, 44, is now facing court in the wake of accusations that he repeatedly punched a man whilst on duty and then put him into the boot of his car before driving off. Niall Corbett, the alleged victim, is said to have been living at an address in Aberdeenshire. His case called at Aberdeen Sheriff Court yesterday for a pre-trial hearing, where Ivancic denied all offences made against him of pushing the man against a police van, punching him in the head repeatedly and then abducting him. The trial date is set for June 17. Police have been known throughout history to misuse their power, however many are intimidated by coming forward as reports have shown officers are often known to tell their victims: “Call the police. 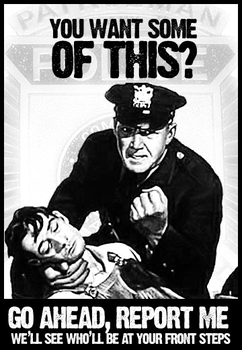 Who are they going to believe?” With that said, many question whether police brutality is the new norm? Many people have reported being disappointed and frustrated with police authority, as society grants them powers over citizens. Many officers begin to see themselves as the law itself, rather than its enforcer. There are many theories as to why this happens, such as the overlap of training into their personal spectrum. For example, officers learn to command presence and interrogate, which can lead to an intimidating character. They are taught to expect immediate compliance, which means that any conflicts are perceived as a challenge to their authority and dominance. They are also trained to use a continuum of force, which they use in order to gain control of a situation. 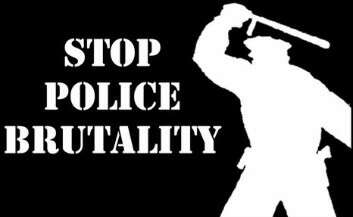 Regardless of the cause, criminal injury is a punishable offence and does not disclude police officers. Anyone who has been subjected to violence at the hands of a police officer can gain compensation even if the person in question has not been arrested. All the victims need to do is call a solicitor like those here at MLS for advice on the next steps to take.